Snippet Time! 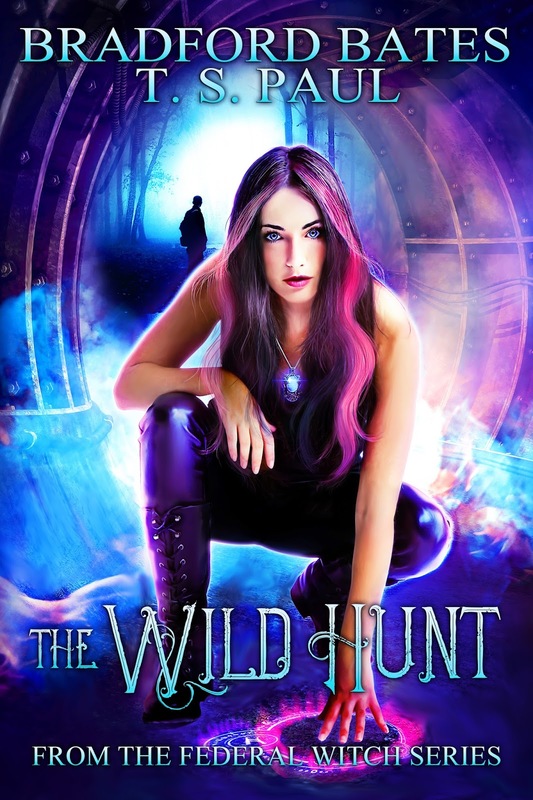 Check out this Snippet from the Upcoming book, The Wild Hunt. “How about you wait until morning and then you can have some more.” His stomach must have been a never-ending pit if he thought he could fit more inside of it right now. “A bargain has been struck,” Gramps intoned. There was something tickling in the back of my mind, but it couldn’t be that wild hunt. That was just a myth. Sure it was a myth shared by a lot of cultures in different countries, but it was still just a myth. Or was it? “Gramps, you’re getting off track.” The sugar must have really been getting to him, he was never this forthcoming with information. I hoped the next bowl didn’t send him into diabetic overload. I still had more questions. I set his newest offering down in front of him. He looked at the bowl and smiled but still couldn’t manage to stand up. His wings beat weakly against the counter and then he fell back down in exhaustion. “Not as long as you stay out of their way. The hunt master will not appreciate it if you interfere.” Gramps made it to his feet, but his giant brownie belly made him stagger from side to side like a drunk. “For the children of course.” Gramps started to pull himself up the side of the bowl. “Why not?” Gramps looked completely confused by my outburst. “It’s not like we could stop the hunt even if we tried.” Gramps eyed the bowl full of dessert that I was now clutching against my chest. Gramps looked up at me unsure of how to handle my outburst. “Something humans have done to each other for thousands of years. In fact, it’s a practice still going on today.” Gramps gave me the look that said I was about to get a history lecture but then he stopped himself and continued speaking. Two women. Two lives. One goal—survive. Aspen and Emma live on the cusp of two worlds. One side is a soul-sucking drag filled with micro-managing bosses and insomnia. On the other, life unfolds on a razor's edge as they discover they are more than what they seem, marked by the Fae and bound to the Shadows. 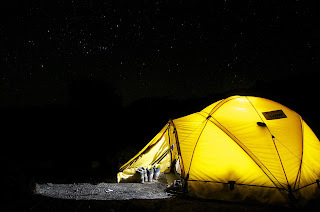 One night while each is out escaping her troubles, they’re abducted to the Shadows. Turned into unwilling pawns of the Fae’s creation, they are forced to participate in the Wild Hunt. Pitted against each other, they must choose: work together and possibly end the Hunt forever—or each play her own game of survival and win at all costs. 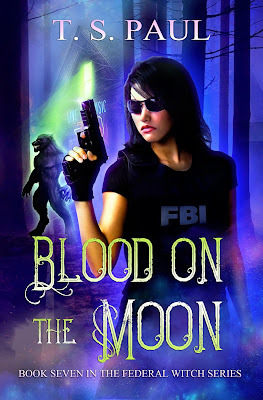 As I discussed in the author notes in the back of Book 7, Blood on the Moon, I'm starting a monthly series. A serial called Jack Dalton, Monster Hunter. This will chronicle the life and career of Agatha's trainer and mentor. It's a period series set in the later 1950s through the 1970s. Each month I will release the new book on the 1st. Then, on the third Wednesday of the month it will be available to be read for FREE here on this website. But only for one day and only here. After that it will be available for purchase. And it's not exclusive to Amazon only. 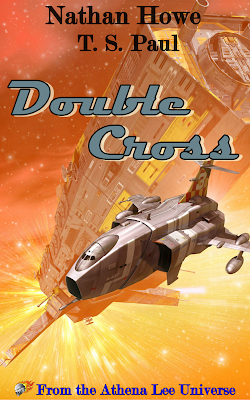 Readers can find THIS series on Kobo, Apple, Smashwords, and other places. Should be a lot of fun. Expect cameos from many well known Federal Witch characters. To Get this one in Pre Order Click Here. Book of the Week. 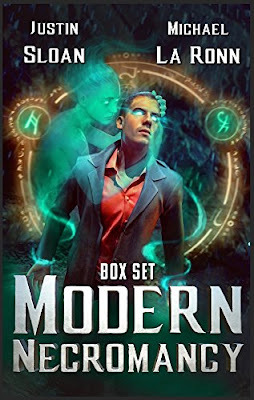 Justin Sloan has a new Boxset! What starts as one man's quest into the afterlife to be reunited with the love of his life quickly turns into a war of the supernatural. 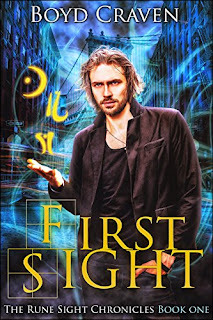 Rohan Evans never thought he be the hero to save the world, but when a betrayal and near-death experience leave him with mysterious powers, it's up to him to stop a man with dark magic from opening a portal to the dead. Get the Box Set HERE! Blood on the Moon is now Available! Get book seven today. Working short is never good! The Magical Division team is back in business but two Agents short. Anastasia is still in the Vampire Nation and Bill is in the hospital. 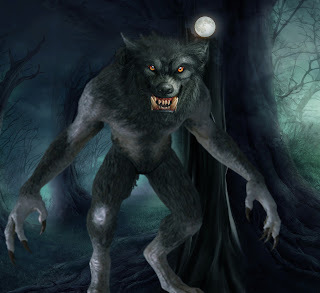 A suspect rogue Werewolf is loose in Tennessee and the team is ordered to capture or kill it. The only problem is that it may be hiding out in Jackson and the last time Agatha was there she almost burned the place down! 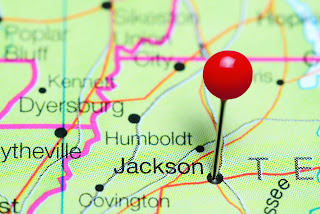 Can they catch the killer before it kills again, or will they be killed by the Moon Pack of Jackson? Life is always interesting around the Federal Witch! Here's a Sneak Peek at Double Cross, part of the Smuggle Life series set inside the Athena Lee Universe! The ships alarms blared as Stephen rinsed his face in his quarters. “Just one morning of peace and quiet is all I want,” Steve said to himself. The alarms continued to blare as Steve did his best to ignore them. He knew that made him a bad Marine. Not that he was one anymore and hadn’t for a while. But, still, it pained him just a little to ignore them. For the most part, on the Rossi, alarms meant little. Not like his days as a Marine. He was a smuggler now, and warnings were an everyday occurrence. Doing his best to ignore them, Steve went about his regular routine. Even though he wasn’t a Marine, he kept to the standards. The Marine was in great shape and had just finished his morning workout. Now, he was just finishing up his shave, his face smooth and fresh. The one good thing about being a smuggler versus a Marine was that he got to pick his own uniform. Not that he didn’t like the one that was chosen for him, but it got old wearing the same thing over and over. On the Rossi, Steve’s uniform consisted of cargo pants that let him move easily and a t-shirt. It allowed for ease of movement. “Kane,” sounded through his room. Steve didn’t like it when the captain of the crew used his last name. She did it to annoy him. That was her first name, and she hated it when Steve used that. Like him, she was the only other member of the crew who had served. She had been in the Navy for several years but didn’t get the shaft like Steve. Steve groaned. This wasn’t something they needed him for. It wasn’t like they didn’t have ships inbound all the time. That was the life on this vessel, always running scared and avoiding both pirates and the Navy. “You don’t need me.” Steve ran his fingers through his short hair. The last thing he wanted to do was deal with a ship, though it might be a nice break from the boredom on the ship recently. The last real action, Steve missed. That angered him, and it had cost them a ship mate. It had only been a month, but it was a long month since Taylor went missing, since the kidnapping. “Get up here,” Captain Dodge said. “Fine. In five.” Steve shut off the communications. He would make it up to the bridge in no time but didn’t see the need. She and the others could handle it. Out in the hallway, the alarms continued. It wasn’t like every person on the ship didn’t already know. The crew wasn’t large. Including Steve and Rea, there were seven, and that was including the CATT and droid. Nicole stopped and started to lick her tail. Steve gave up trying to understand Nicole a long time ago. She never could tell him why she did that. It was just so strange to see a robotic cat doing things a real one would do. Nicole reminded Steve of a Turkish Angora. Steve groaned. She was loyal to the captain and someone or something else. Steve was sure about it. He’d tried once to get it out of her. That ended badly for him. His alarm in the room had gone off at all hours of the night for a month. Making his way through the ship, Steve ran into another of the crew members. She barely noticed his and his hulking frame. Parker was the youngest member. At first, it troubled Steve that she was here since she was so young, just seventeen, but he had grown used to her. Her blonde hair was short. She was petite and able to fit into small paces. That made her extremely useful. Today, the kid wore jeans and a sweatshirt. Her wardrobe constantly shifted, never the same for long. “Oh, sorry,” she said as she nearly ran into him. She continued on. Now, Steve was intrigued. What could be going on? This Weekend Only. 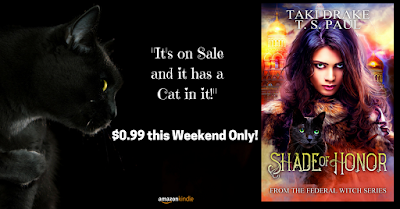 Get Shade of Honor for $0.99! Bereft of their elders in magic, hired out to strangers to feed their families. Survival was a constant battle for the Russian Witches. Despised by other witches for their rigid focus on contracts, they were without a moral compass, honor-less. That was not good enough for some. 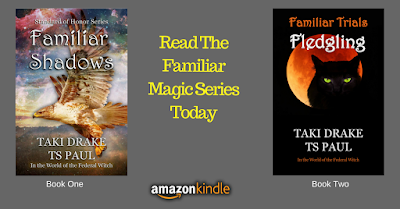 For the young witch, Zhanna, life was not worth living without honor – or her magic. Could she find both in her homeland? Would her desire and drive be enough to locate her shade of honor? The Facebook Page has the Newest Snippet from Blood on the Moon. I'm over halfway done with the book so far. Here's a tiny peek..... Check it. 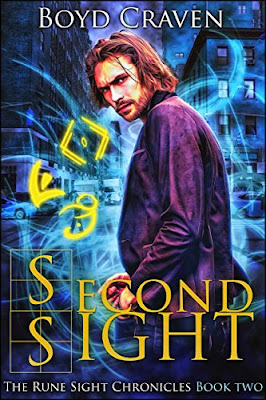 My buddy Boyd Craven has book 2 of his Rune Sight Chronicles out! He just made my book of the Week. My name is Thomas Wright. I've been in more near-death experiences than Houdini or Evel Knievel. Rose has kept me on task and bugs me about my love life constantly. I think she truly enjoys needling me about... well... everything. My pack has grown and working together, we were able to put the smack down on some pretty epic beings with some expert help and a bit of luck. It still isn't enough. I have to throw in with the Council of Mages to go after Vassago and save Vivian's life. When I find myself head of the Taskforce searching for Vassago, it becomes clear that there's more than one mole in the Council of Mages. Somebody is out for my head, and I have to survive backstabbers, demonic beings, and the occasional zombie outbreak before I can start finding the truth and track down Vassago. I'm just one more betrayal away from going crazy. and if you haven't gotten it yet, Buy book one as well. There's a new Snippet for Blood on the Moon in the Facebook group. My Co-Writer, Taki Drake, has a new book out. 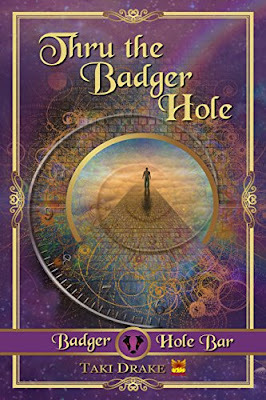 It's a completely new Universe called The Badger Hole Bar. Check it out. Check out the newest Snippet from the Wild Hunt, an upcoming book set inside the Federal Witch Universe. See it on my Facebook page Here! Starting the New Year off right. My friend and Cover designer has a new book out. 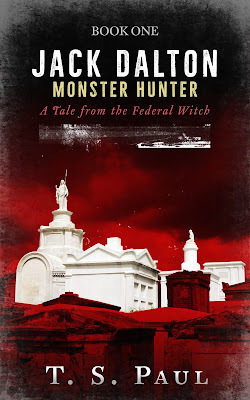 Heather Hamilton-Senter is the cover creator of both the Athena Lee books and The Federal Witch. She writes as well as designs. Check out her latest book 2 in her Bad Luck Witch Chronicles. 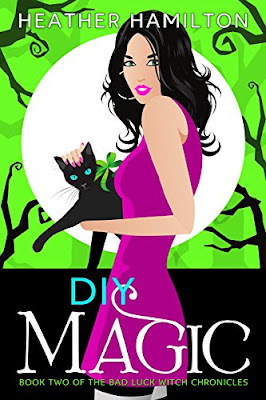 MORE MAGIC AND MAYHEM, WITH A DASH OF MYSTERY AND ROMANCE! It took losing everything for Truly Mason to discover she was so much more than she'd ever imagined. But being a witch has its own pitfalls, including becoming a target for every other ambitious supernatural in the country! 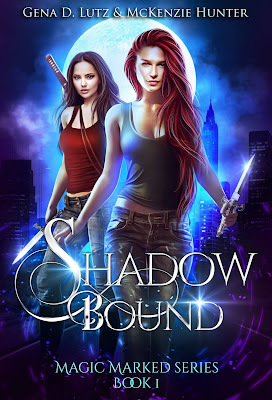 When forces combine to try to strip her of her newfound powers and her position as the Lady, Truly must balance her own safety with that of her friends, and the half-shifter she is powerfully drawn to, as she tries to solve the murder of a beautiful demon. 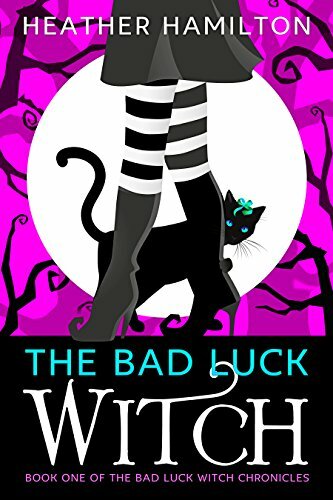 Dive into the thrilling and romantic sequel to THE BAD LUCK WITCH! Writing as Heather Hamilton-Senter, Heather Hamilton is the author of the Amazon best-seller BOUND IN BLUE: Book One of the Sword of Elements, and its sequels.